Conventional ways of thinking of renewable energy as too expensive or unreliable are old and outdated, according to Renewables 100, a nonprofit organization founded to study and advance the global transition to a 100 percent renewable energy future. This organization firmly believes that, “it is not a question of ‘if’ the 100% renewable energy future will become a reality; it is solely a question of ‘when’ and ‘how’.” Renewables 100 was the first to host an international conference in the United States that focused on 100 percent renewable energy targets and solutions. The Pathways to 100 Percent Renewable Energy Conference was held on April 16, 2013 in San Francisco and intended on providing the public with knowledge of renewable energies along with hope for a completely sustainable future. At the conference there were various esteemed and influential speakers who discussed global warming, climate change, technology, policy and economics in relation to renewable energy systems. These speakers all put forth the compelling claim that entire towns, cities and countries could, and eventually will be, powered and run completely on renewable energies. They also helped to prove, by citing a number of recent authoritative energy studies, that the shift away from fossil fuels is technically and economically viable in today’s world. With current technologies, including photovoltaic solar panels, wind turbines, biomass and hydropower, enough energy security can be provided to supply societies demands and more. These speakers have helped create a vision for the potential of renewable resources and illustrated it becoming a reality. Their research and presentations helped to educate the public and overcome some barriers found when transitioning to a renewable system. Since the conference, 8 Countries, 41 cities, 48 regions, 8 utilities, and 21 NonProfit, educational and public institutions committed to shifting to 100% renewable energy within the next few decades. Regions of Europe like Denmark, Germany and Austria are already surpassing their initial targets and making tremendous strides towards achieving a completely renewable system. Germany has made efforts to reduce greenhouse gas emissions by 80-90% and become 100% renewable by 2050. The key to a successful transition in other areas is gaining political support to expand and convert current systems. Motivated and organized leaders are capable of properly making the shift and can help establish a framework for local and national policy to give renewable energies priority. With appropriate political influence there will be more decentralized energy installations, diversified sources of energy and the switch to renewable resources will be made sooner. Communities are setting new targets and renewable standards every day. 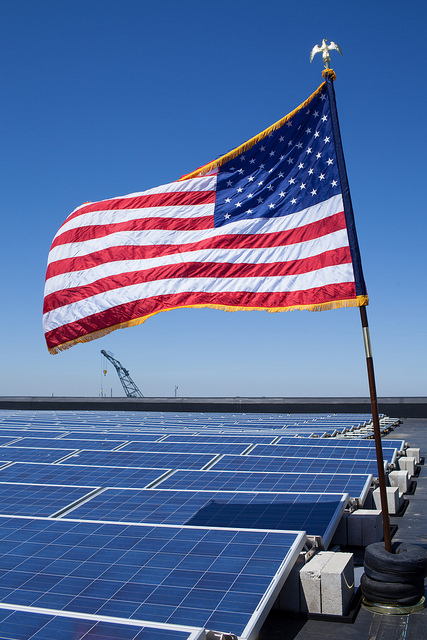 In the United States, areas of New York and California have established goals and set standards to localize energy and reduce dependency on fossil fuels. The transformation is happening now, and a renewable future is no longer just a pipe dream. With the help of the 100 Percent Renewable Campaign and more conferences, environmental leaders hope to implement 100 percent renewable energy on a local, national and global scale. Some areas of the world have already demonstrated that running on 100% renewable energy sources is possible, and are starting to follow the example. Our world could change drastically within the next decade with help from the 100 Percent Renewable campaign, but it is up to citizens to continue to reduce our global dependency on fossil fuels. The next step, and biggest challenge, is to spread the word and get all of these ideas and solutions out to the broader public. Our world has the potential to be powered 100 percent by renewable energy, but there needs to be a shift towards citizen action in order for this vision to become a reality. If you would like to know more about this conference or watch videos online visit http://www.renewables100.org.